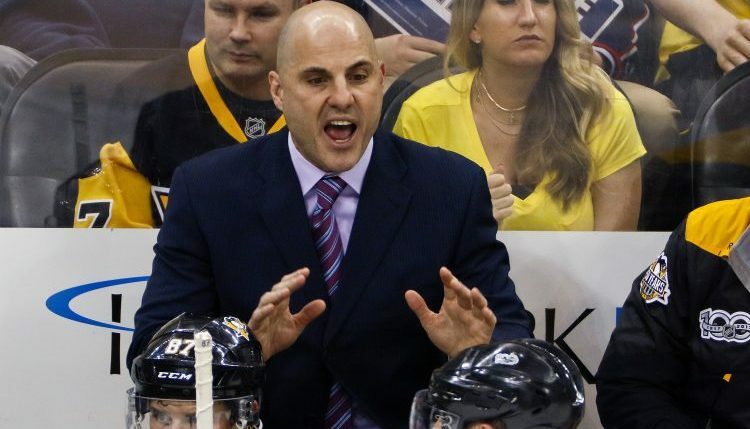 Just when you thought the off season couldn't get any more interesting, Elliotte Friedman is reporting that Penguins assistant coach Rick Tocchet is in talks to become the next head coach of the Arizona Coyotes. Hearing ARIZ & Rick Tocchet working on a four-year deal to become Coyotes' coach. Same term as Boughner (FLA), Green (VAN), Housley (BUF). Tocchet was brought on board as Penguins assistant coach as part of the Mike Johnston era in June of 2014. His inclusion was forced upon Johnston by the higher ups in the Penguins organization, a story first broken by Pens Initiative. From there he helped coach the offense and power play for two coaches in Johnston and later Mike Sullivan. 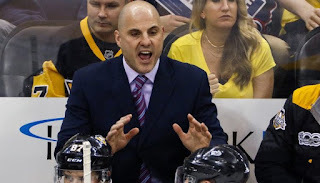 If Tocchet were to take the Coyotes job it would be his second stint as head coach in the NHL. His previous stop was the Tampa Bay Lightning where he went 53-69-26 over two seasons with the Lightning from 2008-09 to 2009-10 after taking over for Barry Melrose into the 2008-09 season. He also briefly serves as interim head coach of the Coyotes in 2005 while then head coach Wayne Gretzky was on a leave of absence.